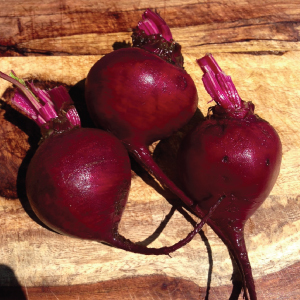 The Bulls Blood beet is an old heirloom favorite that produces dark red foliage that is great cooked and mixed in salads! 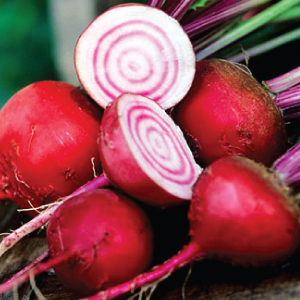 The Chioggia beet is an old time Italian heirloom that has a tender sweet taste and displays an unique bull's eye pattern when cut open. 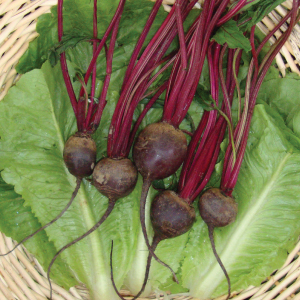 The Crosby Egyptian beet is a standard early bunching beet for table or market, that has a dark red smooth flesh and red green erect tops. 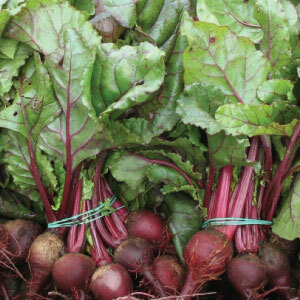 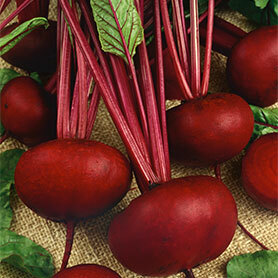 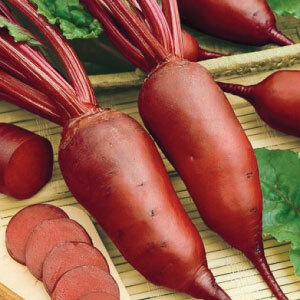 The Crosby Egyptian beet is a standard early bunching beet for table or market, a favorite that is now also in organic form. 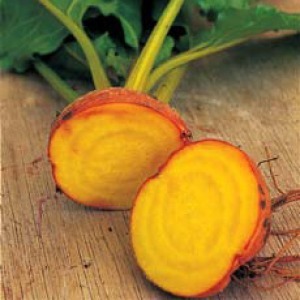 The Cylindra beet or "Butter Slicer" is a popular beet known for its long, cylindrical shape and very tender sweet texture! 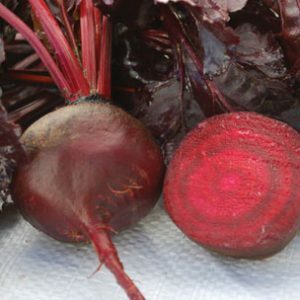 The Detroit Dark Red is the standard all-purpose heirloom beet and is by far the most popular beet for home gardens for its sweet taste. 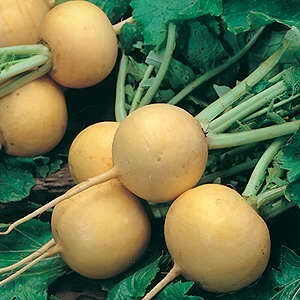 The Early Wonder beet is a popular heirloom beet plant that is early maturing and produces glossy green leaves that are high i vitamin A and C.
The Golden Ball Turnip is a perfectly round, beautiful, eye catching golden turnip with a deliciously wonderful peppery taste! 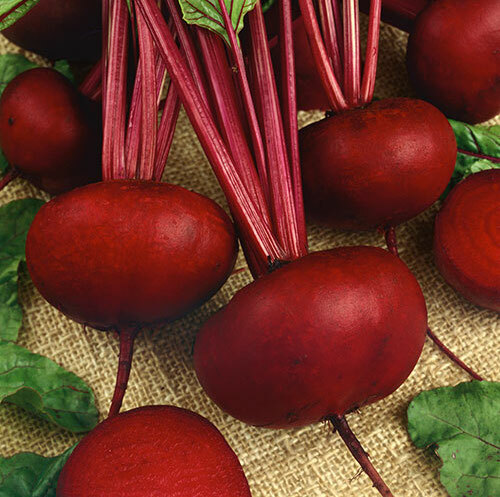 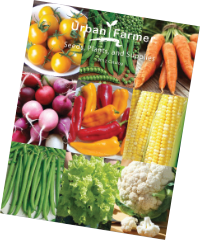 The colorful Golden Detroit beet has won over gardeners with it's sweet, but more mild flavor and is the ultimate savory golden beet with delicious greens! 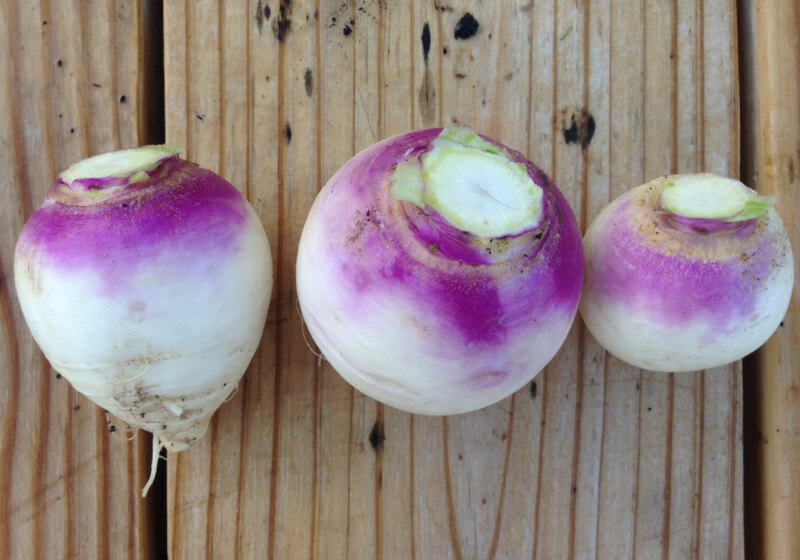 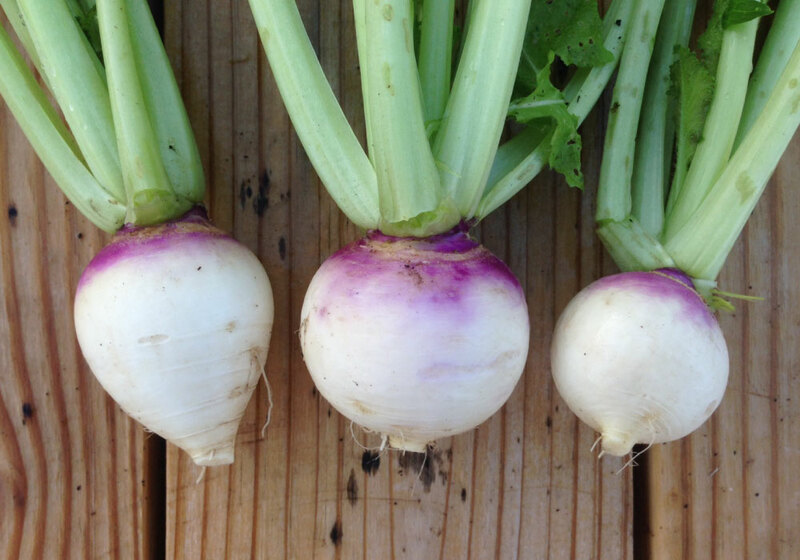 The Purple Top White Globe Turnip is a beautifully purple and white colored turnip that is the best tasting turnip around! 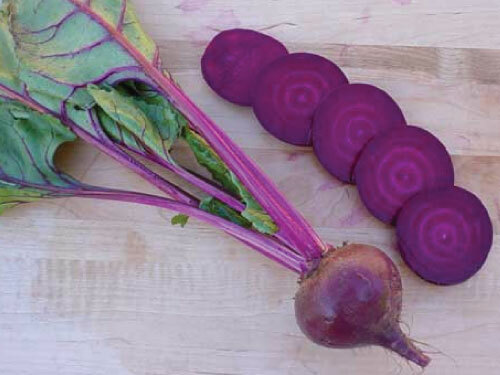 The Ruby Queen is an excellent canning and fresh eating beet for its smooth buttery texture that is more tender than any other beet. 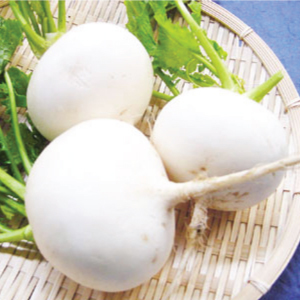 The Seven Top Turnip is a tender, round and beautiful white globed turnip variety that produces consistently for a long period! 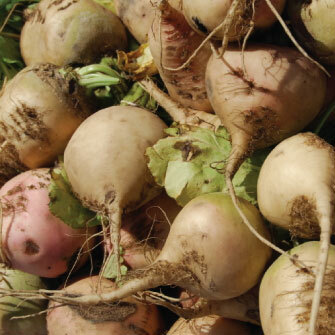 Sugar beets are the perfect natural choice to make sugar, as they offer a very delicious sweetness when boiled into a syrup. 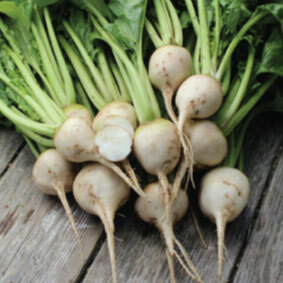 The White Albino beet plants produce good yields of very sweet white beets that are ideal for boiling, pickling, baking and freezing!